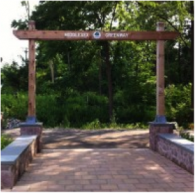 The Middlesex Greenway is a rails-to-trails project within the communities of Metuchen, Edison, and Woodbridge in Middlesex County, NJ. Situated on an abandoned portion of Lehigh Valley rail corridor, the completed portion of the Greenway is a 3.5 mile long, 42-acre corridor that provides a 10-foot wide, paved trail suitable for walking, biking and jogging. The New Jersey Health Impact Collaborative (NJHIC) at Rutgers University carried out the Middlesex Greenway Access Plan Health Impact Assessment (HIA) concurrently with a Together North Jersey Local Demonstration Project (LDP). Partners on the LDP team were Middlesex County, Metuchen Borough, Edison Township, Woodbridge Township, and Edison Greenways. The purpose of the LDP project was to create a Middlesex Greenway Access Plan to provide the Middlesex County Office of Parks and Recreation and the Edison Greenways Group with recommendations for improving access to the Greenway and increasing usage of the Greenway by residents and visitors. The Middlesex Greenway HIA investigated the potential health impacts associated with increasing access and utilization of the Greenway and made recommendations for how managers can add infrastructure, signage, facilities and programming to best protect and promote health, focusing on providing benefits to populations that could benefit disproportionately, such as senior citizens and lower income populations. The study included review of literature, analysis of data, focus groups and a survey of over 500 residents. View/download the final report: Middlesex Greenway Access Plan HIA. To learn more about how Health Impact Assessments can lead to healthier outcomes for your land use plans visit the Planning Healthy Communities Initiative website.